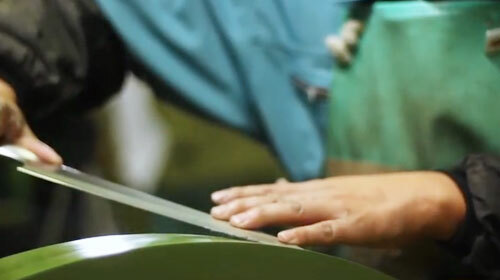 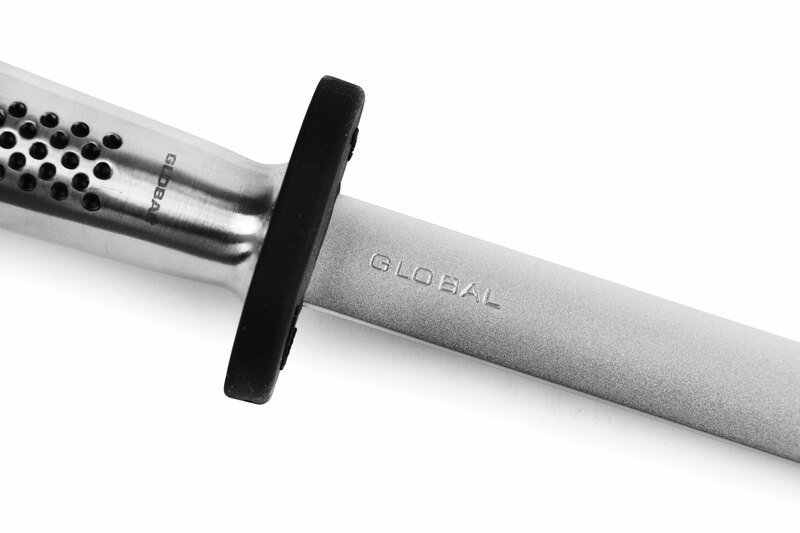 The Global Diamond Sharpening Steel's surface contains diamond dust. 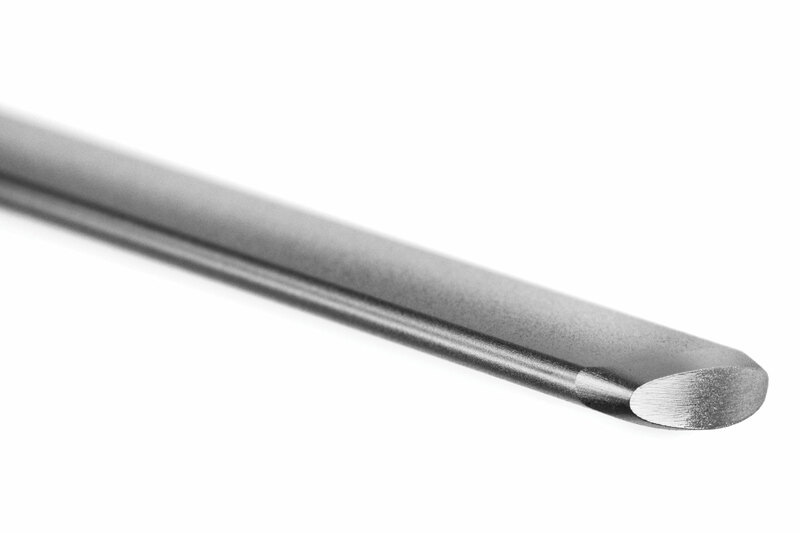 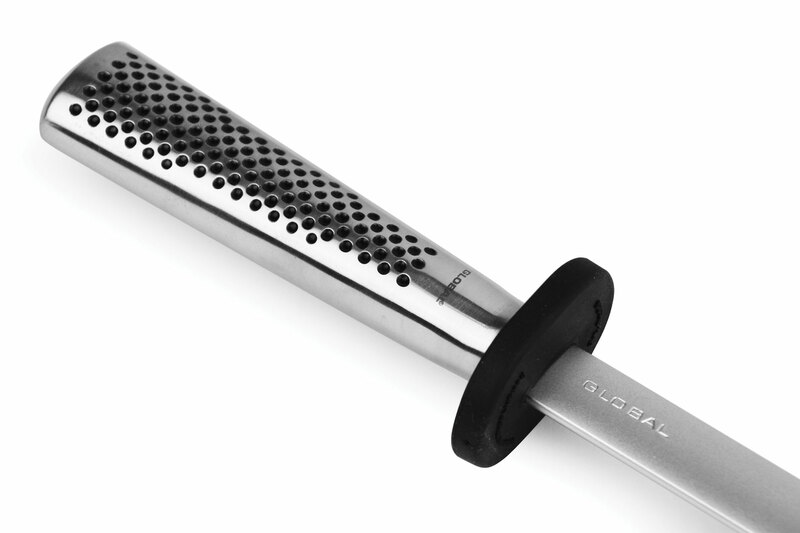 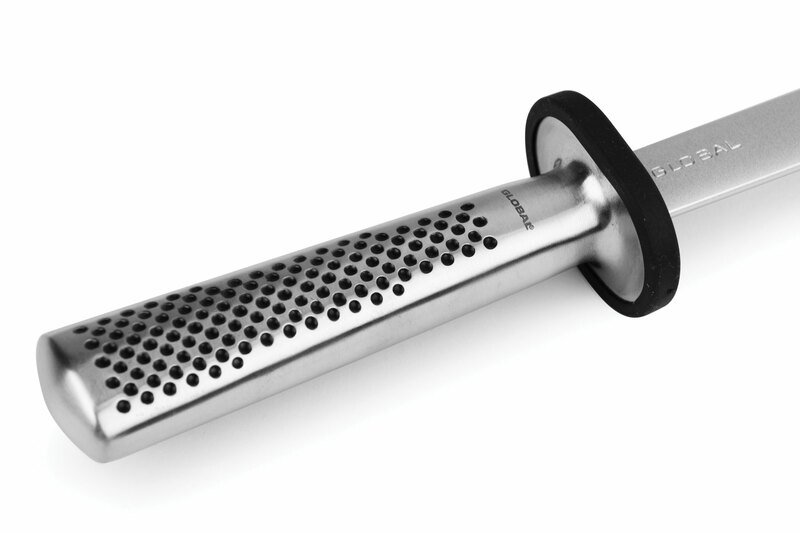 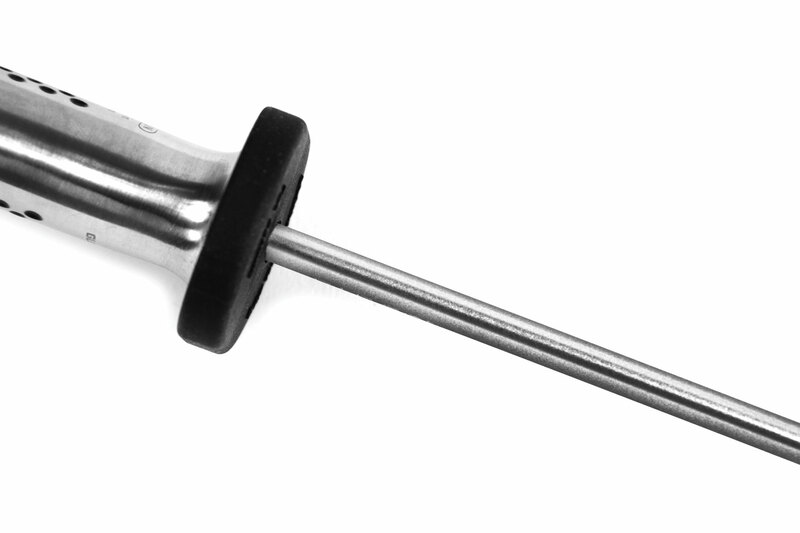 While using this steel won't replace a professional sharpening job, which proceeds from coarse grinding to ever-finer grinding at tightly controlled angles, it will lengthen intervals between sharpenings. 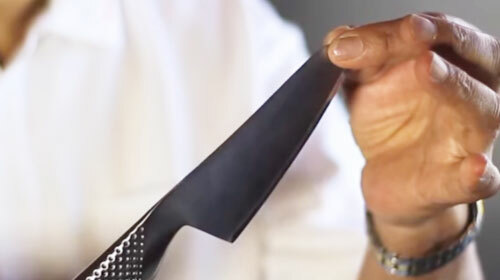 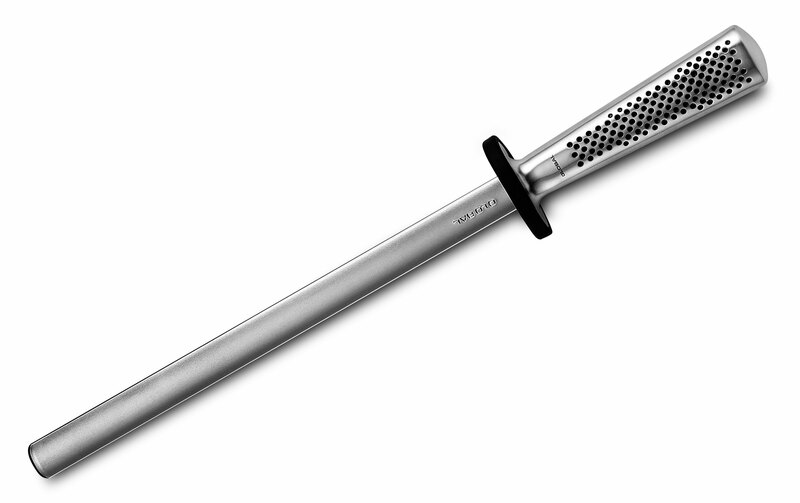 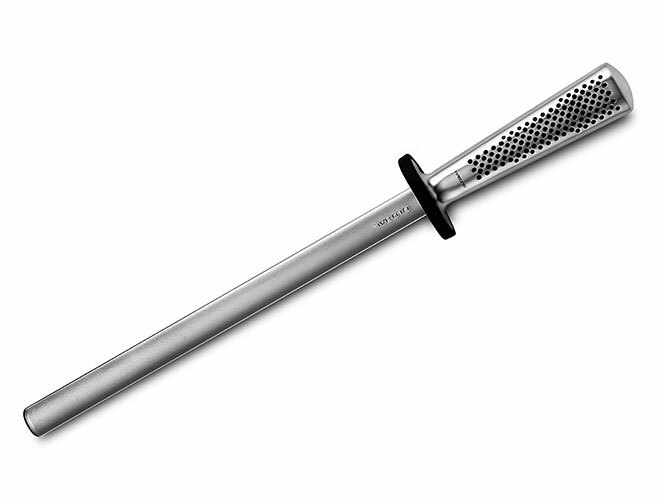 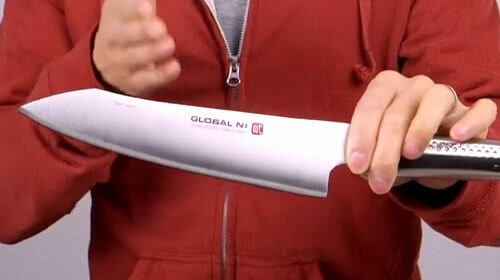 The rule is that a steel should be at least as long as the knife blade being drawn across it, and this steel's 10-inch rod handles all household knives.